Sometimes there are long running offers which we don’t mention because they have been around, unchanged, forever. Now and then I like to dust one off. A good example is this long-running offer of 3,000 Flying Club miles for your first order from Virgin Wines. 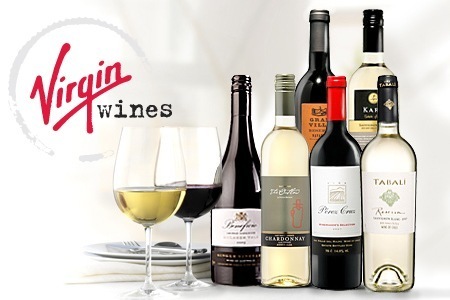 Virgin Wines used to be part of Laithwaites which runs most of the mail-order wine clubs under different brands, including British Airways Wine Explorer, but was sold in a £14m management buyout a few years ago. Mixed cases start at £60 for six bottles as you can see if you scroll down this page. Alternatively, you can join their ‘Discovery’ wine club and buy a half-price case of wine for £59. 12 bottles of wine and 3,000 Flying Club miles is not a bad deal for £59! There is no obligation to make further purchases, although you will receive 750 miles per case if you do. If you join the Discovery Club, you will need to cancel your membership after the first case has arrived or they will try to sell you further cases on a regular basis. Woohoo. I didn’t know about this, and I have 7500 orphaned Flying Club points, so another 3000 and I can transfer them into Marriott points. Win! I do not think he can transfer them to Marriott, but to Hilton or IHG, certainly. I am wondering the same. I dont see why not cause if payment is made via amex, that should trigger the amex offer. as far as virgin goes, you have bought wine and paid the required amount so the miles should deposit. correct? Do the gifts qualify for the 3000 miles or does it need to be a case? I trawled to the T&C with no outcome.